August « 2012 « great space why? 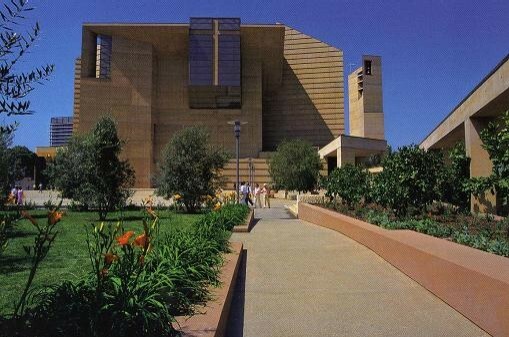 Spanish architect, Rafael Moneo designed the Cathedral of Our Lady of Angels in Los Angeles about ten years ago. 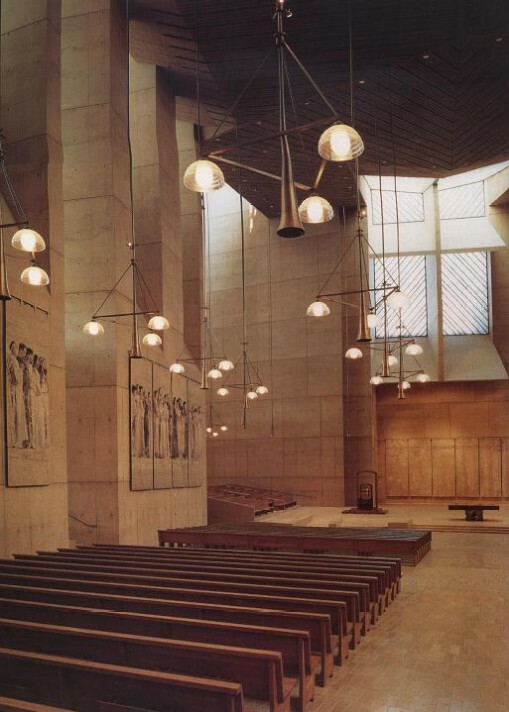 Time as shown that the cathedral and grounds serves its initial design criteria to inspire with light, welcome diverse users, and incorporate current technology as a celebration of its age. So what does that mean to the common experience? Start with the purpose of the building. It is a place of worship and inspiration to seek spirit, solace, and community. The sheer size of the place accommodates many (largest cathedral in North America), and the large entry plaza serves as a welcoming gate way. The walk from busy street to quieter garden with the masking sound of water to silent halls shows how the sequence of purposefully designed spaces directs the journey and mood. So whether one comes alone or for a community gathering, the flow of space directs the users to the purpose of the space. The main sanctuary is a common church form of pews facing an altar, which provides a common reference for everyone. Yet the space is different from expected cathedral forms of a cross-shaped plan with rows of columns, and walls of stain glass windows. Inside the filter of light from places above and hidden add to the mystery of holy place. The light comes in like a stain glass window but it is filtered differently, creating shadows on the walls that change through the day. So instead of a stain glass picture telling the story, the light is like a brush in God’s hand, creating an ever-changing story. This makes the space more alive. The architect also incorporated current technology from structurally large open spaces to internet connections and modern lighting. Like the old stone masons building higher and wider cathedrals with the structural innovation of flying buttresses, today’s architect relies on new materials and methods to create larger open interiors. Great space, why? It is an example of familiar references to old forms, connecting with many people. It uses up to date technologies to give it a reference to today and a place in history. It fulfills and inspires its purpose.